At Lins Law Group, we are a law firm dedicated to resolving your most pressing legal concerns. From probate and estate planning and administration matters, to personal injury and business law issues, we will work closely with you in developing a legal strategy that’s based on your specific needs and focuses on improving your quality of life. Lins Law Group was founded by attorney Michael Lins, a Tampa, Florida, native who has over 30 years of experience representing the legal interests of people dealing with personal injury, business law, estate planning, estate administration and probate matters. The firm represents clients throughout the Tampa Bay area and is proud of its reputation for providing personalized representation and producing measurable results. Attorney Michael Lins has built Lins Law Group around the idea that people dealing with personal legal matters deserve an attorney who focuses on what the law can accomplish for them. 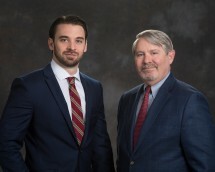 Whether handling an estate plan, a business formation or succession matter, or a personal injury case, Lins Law Group strives to tailor legal strategies that are unique to each individual client's situation. Mr. Lins has earned the respect of legal professionals throughout the Florida legal system. From judges to attorneys, he has a reputation for being an effective trial lawyer with the ability to provide both compassionate legal services and aggressive, effective legal representation. His skill and commitment to ethical legal representation have also helped him earn an AV rating – the highest peer review rating under Martindale-Hubbell Peer Review Ratings process. At Lins Law Group, our clients appreciate our strict attention to detail and our desire to help them by focusing on planning, preparation and acting with purposeful intent. To find out how we can help you with an estate planning, probate and estate administration, personal injury or business law matter, contact us today.